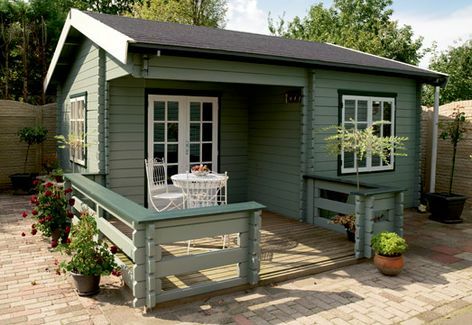 All Lugarde log cabins are standard 44mm log thickness but can be delivered in 68mm as an option. It is also possible to add floor and roof insulation. Standard canopy measures 1m x 2.5m. The Paris picture above shows the 3m x 3m veranda and deck. 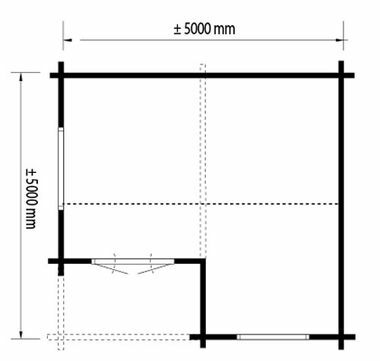 Size approximately 5m x 5m in 44mm log thickness. The standard package includes 2 casement windows PE23 (outward opening) and a double door PE24.